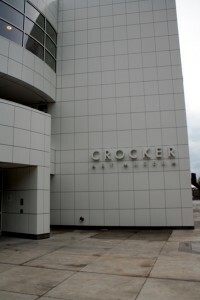 Check out my painting at the Crocker, yo! I’m in the ARC Student show. There are some great pieces in the show… cause ARC rocks! Also the Wayne Thiebaud exhibit is pretty amazing! It is in the Crocker Art Museum in Sacramento. The show is on the bottom (under ground) floor of the old building. Previous Previous post: My First Non-Student Gallery Show!